Videos need editing or repair to improve quality and enhance the viewing experience. Sometimes, however good in quality, you may just want to edit, cut, sharpen, rotate, add sound or text over them. To do such tasks, there are a plethora of video editing tools. But unlike paid editing platforms, which may not let you do all the activities, FFmpeg is a complete software project for multimedia files. It has a vast suite of libraries and programs which lets you convert, edit, repair, and improve your video formats. FFmpeg multimedia framework has its distinct fan following too, owing to its multi-facet utilities. Recently, NASA used FFmpeg to combine the high-resolution images taken from GOES-R series of Earth observation satellites to create a video. While some miles away, the game developer- Looking Glass Studios included FFmpeg video support in its latest Dark Mod Thief game version 2.06. Everyone from end users to developers use open source FFmpeg to create, convert, record, cut, stream, encode, transcode, mux, demux, and so much more to their videos. FFmpeg is a command-line tool that uses commands to convert audio or video formats. It can also capture and encode in real-time from various sources such as a TV capture card. FFmpeg comes with a wide range of audio and video codecs support. You can use to fix your video-related issues of any file format on Linux, Mac OS X, Microsoft Windows, the Unix BSDs, and Solaris systems. What all you can do with FFmpeg? How to Repair Corrupt Video Files like MOV, MP4 etc using FFmpeg? Yes, it can. You can try to repair your video files using various command lines in FFmpeg. But this could be a little tricky for beginners. You should have knowledge of various command lines to perform different tasks in FFmpeg. Also, the success of repair of corrupt video files depends upon what issue you want to fix and how badly the file is damaged. 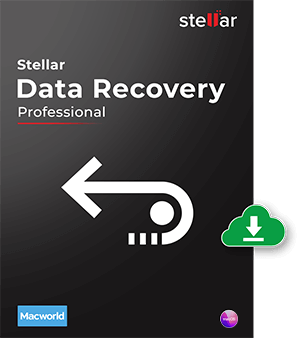 There are other programs such as video repair tools like Stellar Repair for Video ; noise reduction video plugins like Neat Video or Red Giant Magic Bullet Denoiser; video editing software like Adobe Premiere Pro, Final Cut Pro X, or Lightworks that can be used to reduce noise and improve video quality. But a dedicated video repair tool for video corruption is always a better choice. They can fix even severely corrupt MP4, MOV, AVI, AVCHD and all other important video file formats that are not playable or show error in loading. The free demo version of the software is good enough for evaluating whether a video corruption issue can be resolved. How to Repair Corrupt Videos using Video Repair Software? 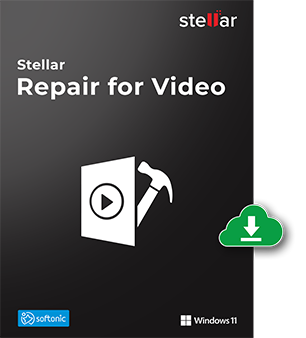 Stellar Repair for Video fixes almost all types of video corruptions that occur during editing, shoot, converting to a different format, or on the transfer of videos etc. It repairs corruption in frames, sound section, header, etc. You can play your videos that turned grainy, choppy, jerky, broken, frozen or out of sync etc. 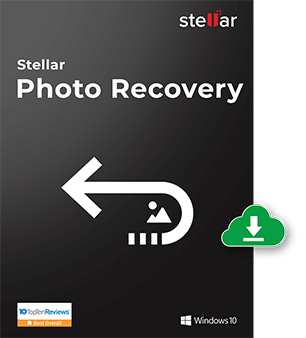 Even the severely corrupt video files that are not fixed by FFmpeg or other editing/repair tools can be made playable using Stellar Repair for Video . The software can also repair video files created through the FFmpeg program. Moreover, you do not need to fret over the repairing process. The advanced algorithms of the software easily fix any damage in the video files. It supports repair of AVI, ASF, WMV, MKV, FLV, DIVX, WEBM, MJPEG, MPEG, AVCHD, MTS, MOV, MP4, M4V, 3G2, 3GP, and F4V video files. Thus by the above-mentioned methods, you can repair corrupt video files using FFmpeg using its command lines. 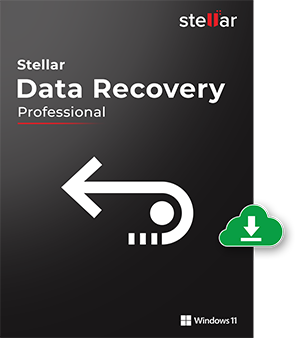 However, for severely corrupt video files, a secure video repair tool Stellar Repair for Video is a recommended. Unlike FFmpeg, the software works in all kinds of video corruption without you putting in any efforts to repair the distorted multimedia file. I have 3.56 GB mp4 file ,during transfer from my mobile to PC ,but it cant play ,i try so many time using different media player still no solution .please if any have solution ? Hi Santosh, during transfer file from mobile to PC there is the chance file may be corrupted. I suggest you can try our software demo version and see the preview of your repaired file. Thanks! This software help to get fix the issue of my MOV video using ffmpeg with Meta data, timestamps or container info. And it’s very fast, usually faster than play speed. Thanks! Hi Kyle, Thanks for using our Software! Hi, I try this software for repairing our video files but its showing message for “add a reference” with the same device. Is it possible to repair a video without a reference? Hi Jess, No, you must provide a good reference file from the same device for this repair method. I fix this issues that I suppose stream and key frames related with ffmeg. This software worked like a charm for .avi files. Thank you! Hi James, Thanks for using our software! Awesome Post! I had issue with MP4 files atom not found input.mp4 it show an error Invalid data when processing. I try ffmpeg from the command line. Its work for me. Thanks! Hi Gabriel, Thanks for reading our blog and sharing your feedback with us!